New York in the mid-1970s was the crucible of two emerging music scenes. Nightclubs such as The Loft, The Gallery and – from 1977 – Studio 54 were playing disco music, while CBGB was home to the nascent raw punk sound of Patti Smith and Television. There was little room for anything else between these two musical pillars, let alone a 24-stone singer from Texas with a voice that could fell trees. And yet, in a theatre in Lower Manhattan, Meat Loaf was forging a creative collaboration that would lead to Bat Out of Hell, an album of operatic rock anthems that – against the grain of everything else going on – would become one of the most popular records of all time. Recorded with $35,000 of borrowed money, turned down by dozens of record companies, panned on release and initially slow to sell, Bat Out of Hell has gone on to sell 50 million copies. With musical composer Jim Steinman, Meat Loaf created one of music’s most successful, if troubled, partnerships. It is now receiving what many would argue is the ultimate recognition: a West End musical. As Jim Steinman's Bat Out of Hell The Musical opens at the London Coliseum – the home of the ENO – just how did this pair of misfits turn the album charts of the late Seventies on their heads? And what is it about the album's songs that have endured through the decades? It was all Peter Pan’s fault. Steinman and Loaf had met in 1973 when the singer took a role in the composer's off-Broadway show in New York called More Than You Deserve. When the show finished, Loaf – whose presence was as imposing as his voice – gained cult status and a brief record deal with Motown thanks to his role as Eddie in The Rocky Horror Picture Show. Steinman, meanwhile, wrote music for a show called Kid Champion starring Christopher Walken. Four years later, when Steinman and Loaf were touring together in the National Lampoon Road Show that they started to workshop a futuristic musical about Peter Pan called Neverland. The songs were escapist, operatic fantasies. Three stood out. One was called Bat Out of Hell. After lawyers for JM Barrie's estate in London showed no interest in granting rights to this strange project, David Sonenberg, who was Steinman’s lawyer, suggested the duo ditch the Peter Pan theme and write an album expanding on the songs. He would represent them and get a record deal. They wrote the songs, started to tour them in the tri-state area around New York and invited record execs to attend. Things didn't go well. Sonically, the album was a bombastic mix of Phil Spector’s wall of sound, Eagles-esque harmonies and Bruce Springsteen-like piano and guitar melodrama. This latter comparison was no coincidence – the band contained two members of Springsteen’s E Street band: Roy Bittan on keyboards and Max Weinberg on drums. 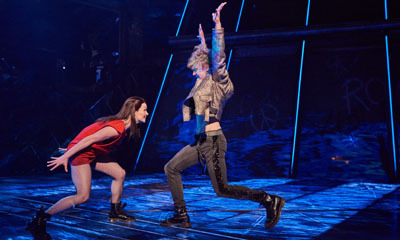 But everything about Bat Out of Hell – the music, the drama, the words – was heightened, like Springsteen on Broadway on steroids. The album only consisted of seven songs but they all packed a punch. Lyrically, it harked back to America in the 1950s. The themes of teenage lust, doomed romance, motorbikes and gangs that pre-occupied Steinman were mixed with dark, gothic, almost pantomime flourishes. The nine-and-a-half-minute title track dealt with a motorbike accident (complete with an extremely lifelike engine sound wrung from a guitar by Rundgren), while the eight-minute multi-section Paradise by the Dashboard Light was about nooky in a car. The band were thrilled with the album. Yet despite some ecstatically received live shows it still didn’t get picked up by a record company. The one that had shown a flicker of interest said no, and the album sat untouched for almost 18 months. Loaf, Steinman, Sonenberg and the band toured record company offices incessantly, to no avail. “We literally went everywhere. I felt they were inventing record companies for the sole purpose of passing on Bat Out of Hell,” says Sonenberg. Eventually a man called Steve Popovich at a small label called Cleveland International Records signed the band, having previously passed on the album in a former job. The record came out in October 1977 but, true to its troubled gestation, tanked. Rolling Stone gave it a zero-star review. Peers in the music industry thought it “freaky and weird”. Only two FM radio stations in America were playing it. “In 1977, everyone hated Bat Out of Hell,” Loaf has said. Sonenberg, however, noticed something. In each of the two markets where Bat Out of Hell was being played – New York and Cleveland – it had sold 15,000 copies. “If you extrapolated that out, we had a Gold album if we could get that kind of airplay everywhere in America,” he said. Three fortuitous things happened. First, TV presenter Don Kirshner, who had a music show called Don Kirshner’s Rock Concert and was represented by Sonenberg, agreed to air a video of Bat Out of Hell, the song, on his Halloween show. Secondly, the band appeared on The Old Grey Whistle Test in the UK. And thirdly, according to Sonenberg, a Canadian DJ called Sandy Beach played Meat Loaf on rotation after taking a shine to the song Two Out of Three Ain't Bad due to the namechecking lyric, “You'll never find your gold on a sandy beach”. This trio of events kick-started sales in each market respectively. Tens of thousands of records were sold culminating in Loaf being booked to close CBS Records’ annual convention in New Orleans in January 1978. The crowd went wild at the powerful performance, doing $40,000 of damage to the ballroom in which the convention was held. Demand rocketed. Throughout 1978, Bat Out of Hell sold 500,000 copies a week globally. In Australia it knocked the Bee Gees’ Saturday Night Fever soundtrack off the number one slot, proving that disco was not the only game in town. The sales surge coincided with a huge world tour between November 1977 and October 1978 with backing band The Neverland Express. 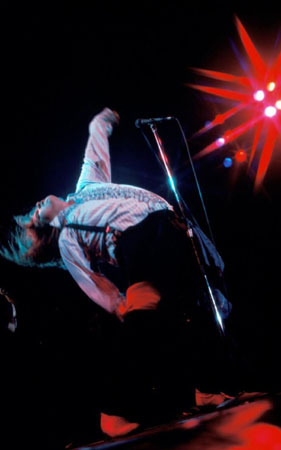 The shows, which included just three gigs in the UK, were intense and saw Loaf belting out the songs and throwing himself into the action, sweating profusely. During Paradise by the Dashboard Light he would subject Karla DeVito, who sang the female part, to a full on-stage snog. “I cannot believe how far down my throat he is getting his tongue. It was like a full stomach X-Ray,” she has said. “The tongue in the mouth was not in the job description.” So exhausting were the shows that Loaf would need an oxygen mask in his dressing room afterwards. But cracks were starting to show. Intense touring, exhaustion, drink, drugs and vocal problems took their toll. “Meat Loaf started to develop some issues and problems and he wasn't happy. Steinman wasn't happy. Nobody was. It was a troubled time,” says Sonenberg. Things came to a head when the singer fell off the stage in Ottawa, breaking his leg. He performed in a wheelchair but it added to the general sense of burnout. Loaf was a brilliant performer, but he was also volatile. Sonenberg talks about visiting his dressing room the day after Don Kirshner played the Bat Out of Hell video on his Halloween TV show. Expecting the singer to be happy, Sonenberg was instead attacked as Loaf was annoyed that time restrictions had resulted in the all-important final three minutes of the song being cut in favour of an Alpo dog food commercial. “He grabs me by the neck, slams me down and rolls on top of me and goes ‘A f------ Alpo dog commercial’. My eyes are popping,” Sonenberg says. 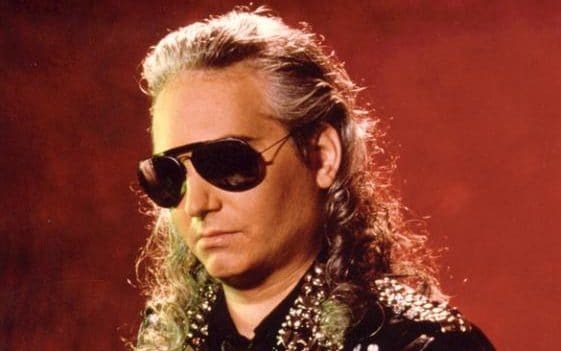 In walked Jim Steinman, who said: “Excuse me, I didn't know there was a meeting going on” and left. The tour finished and the album kept selling. There was immediately record company pressure for a follow-up. But Loaf wasn't in a position to record. So Steinman recorded the intended Bat Out of Hell follow-up, called Bad For Good, as a solo album. Within months of its April 1981 release, Loaf released his own follow-up, Dead Ringer, also written by Steinman. Impact diluted, neither record sold nearly as many copies as Bat. Momentum continued to wither. Loaf's follow-up to Dead Ringer was called Midnight at the Lost and Found. It was meant to include a Steinman song called Total Eclipse of the Heart. But Loaf's record company refused to pay for Steinman so the song went to Bonnie Tyler. While she sold an estimated 6 million copies, Loaf's shifted just 700,000 copies worldwide. Over the next 17 years Loaf continued recording but became involved — as is so often the case after a mega-smash — in lawsuit and counter lawsuit with Steinman and related parties. By 1983, he had declared bankruptcy. A decade later the duo got back together to make Bat Out of Hell II: Back Into Hell, spawning the global hit I'd Do Anything for Love (But I Won't Do That). It was followed – somewhat inevitably – by even more legal wrangling, this time about unpaid royalties and name rights. Steinman had nothing to do with 2006's Bat Out of Hell III. It kicked open the door for epic, emotionally-swollen, bombastic rock. Without the album the likes of Van Halen, Def Leppard and Bon Jovi would not have dominated the early-Eighties charts like they did. So, the 40-year-old bat may simply be hibernating, ready to emerge from hell one last time. You have been warned.